Child Welfare in Ontario has a very long history. Prior to 1874, children requiring services could receive help through either the criminal system or an apprenticeship (in exchange for the child’s labour), neither very appropriate by today’s standards. In 1888, an Act for the Protection and Reformation of Neglected Children encouraged foster homes as alternatives to institutions. With this legislation in place, John Joseph Kelso helped found the Children’s Aid Society of Toronto in 1891. He then went on to advocate for the passage of a new Act for the Prevention of Cruelty to and Better Protection for Children. In Halton, the founding meeting of the Board of Directors was held on February 15, 1914 in the Sunday School Room at Knox Presbyterian Church in Milton. Public school inspector J.M. Denyes was elected President. 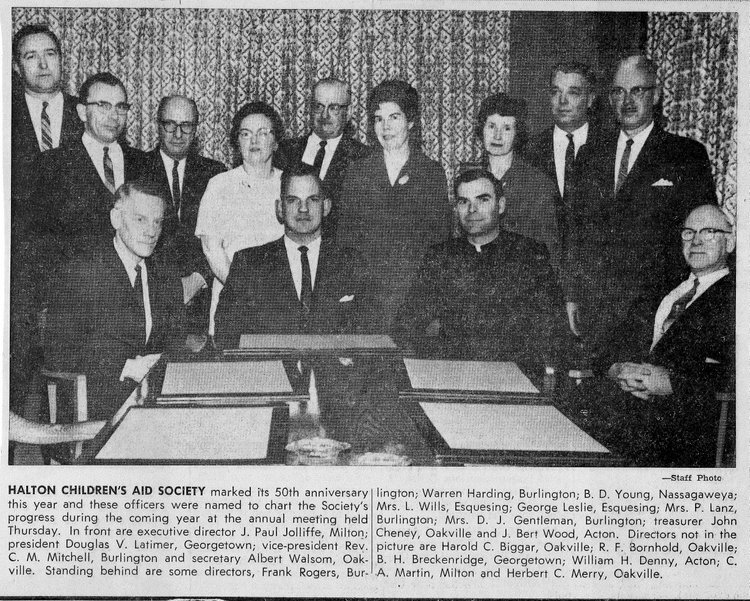 In 1976, the name was officially changed to The Children’s Aid Society of the Regional Municipality of Halton – operating as the Halton Children’s Aid Society.